Veronica Dunne is an American actress. She is best known for portraying Marisa on the Disney Channel series K.C. Undercover opposite Disney veteran Zendaya. She is also known for the television work on series such as Kickin’ It, Austin and Ally, Tatami Academy, and The Suite Life on Deck. 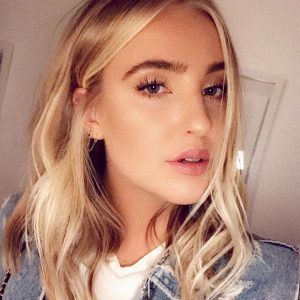 Born Veronica Louise Dunne on March 2, 1995 in Malibu, California, USA, to parents Kristine and Murphy Dunne, she began performing at the age of four. She got her first role as Cinderella in the Lythgoe Family Production of “Cinderella”. She made her film debut in 2009 appearing in Locker Love. From 2014 to 2017, she dated actor Max Ehrich. *She was born on March 2, 1995 in Malibu, California, United States. *Her full name is Veronica Louise Dunne. *She won the role of Marisa Miller in the television series K.C. Undercover in 2015. *She was in a relationship with actor Max Ehrich from 2014 to 2017.